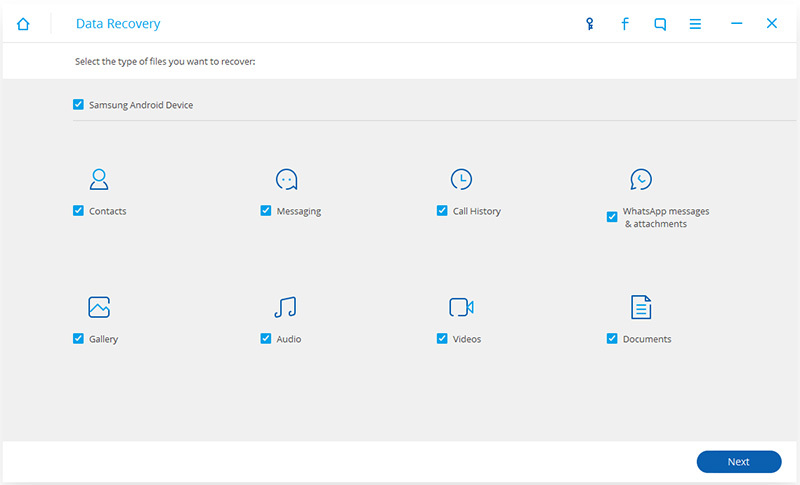 Recovery can be done for a variety of lost data including deleted contacts, messages, and pictures along with audio and video files and most importantly, app specific data such as Whatsapp messages. Although it is it an Android Data Recovery tool, Dr.Fone is fully compatible with Windows 10 and macOS Sierra as well. Why use the Dr.Fone for Android? In this era of smartphones, all of us are extremely depended on their smartphones. This is why your Android needs to have a trustworthy and functioning tool for Android Data Recovery in case you lose your data unexpectedly. It could be from the hand of another or by yourself. There are many instances people delete their data by accident. With Dr.Fone Android Data Recovery, you can recover your data as soon as you lose it without any hassle. If yours Android device is completely beyond any repair or recovery, Dr Fone - Android Data Recovery can help you to recover data in your SD Card without a hassle. Dr.Fone offers you a free trial of the app in order to get a preview of the service that you get through the phone. This way you do not have to worry about the app underperforming or exaggerating the services that it is able to give you. 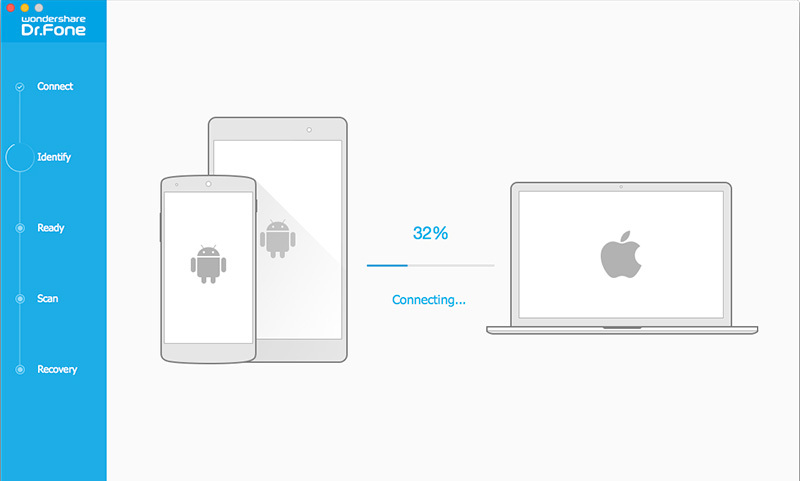 Working for both rooted & unrooted Android devices, this Android data recovery tool will never change anything on it. The rooted or unrooted device will remain the same. 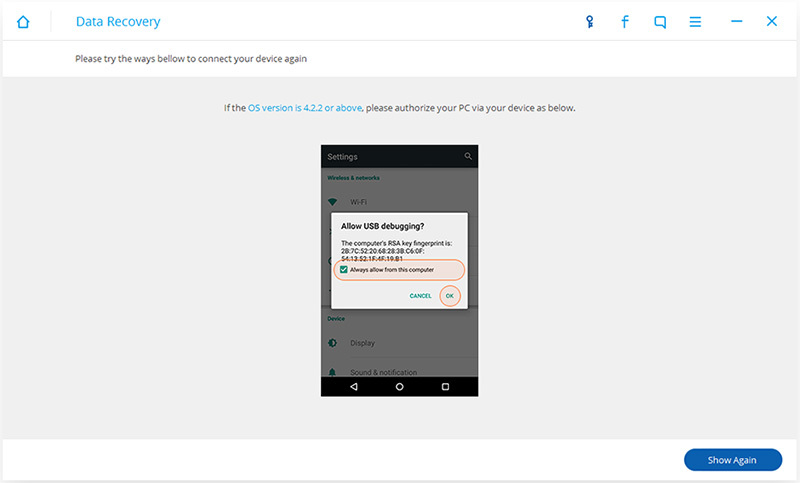 With just a single click, you can simply select any lost data item from your Android device and recover it on your computer. LG, Motorola, ZTE, Asus, OnePlus, XiaoMi, Acer etc. Launch dr.fone toolkit for Android on your computer, and select Data Recovery among all the toolkits. Connect your Android phone to the computer using a USB cable. 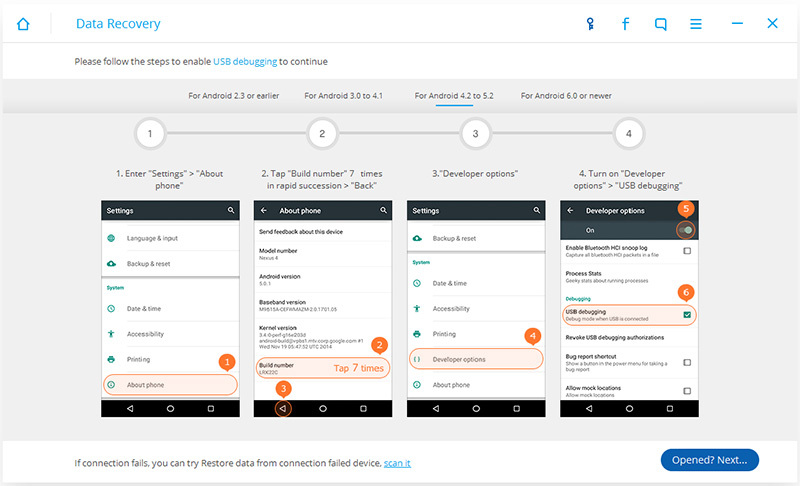 Please make sure you have enabled USB debugging on your Android phone. 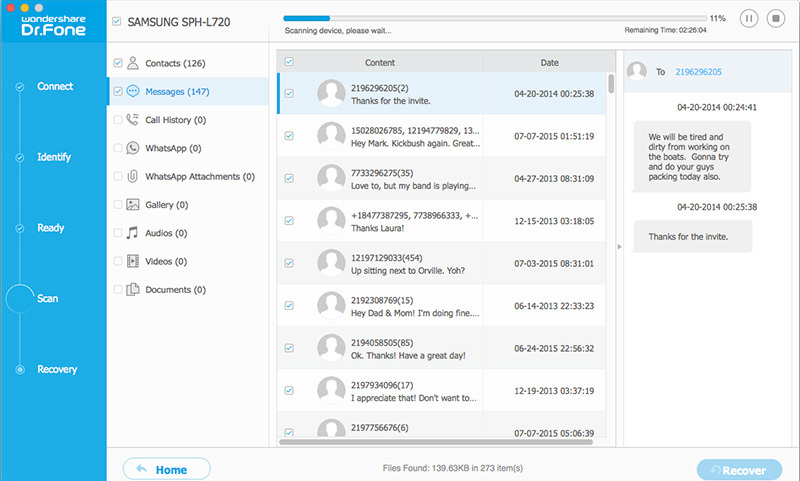 After the phone is connected successfully, dr.fone for Android will display all the data types it supports to recover. By default, it has checked all the file types. You can just select the type of data that you'd like to recover. And then click "Next" to continue the data recovery process. There are two scanning modes. You can read the description and choose the "Standard Mode" or the "Advanced Mode" here to continue according to your need. We recommend you to try "Standard Mode" first, which works faster. If it doesn't find the files you are looking for, you can then try "Advanced Mode". 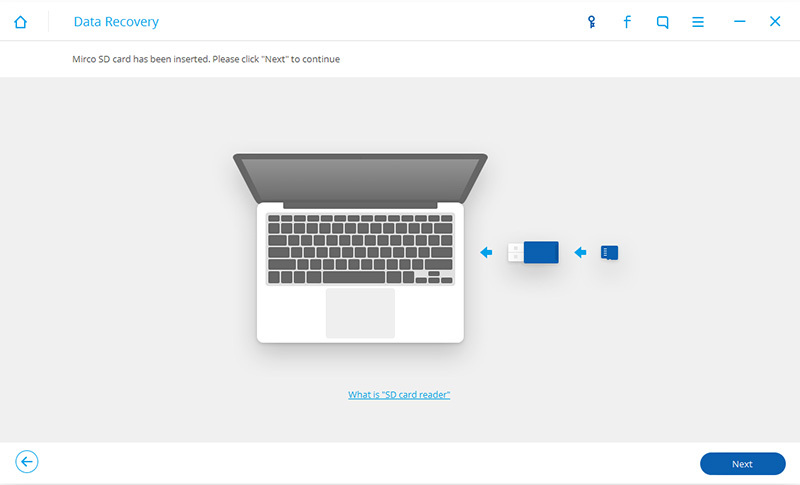 Now, click "Start" to begin analyzing and scanning your device. 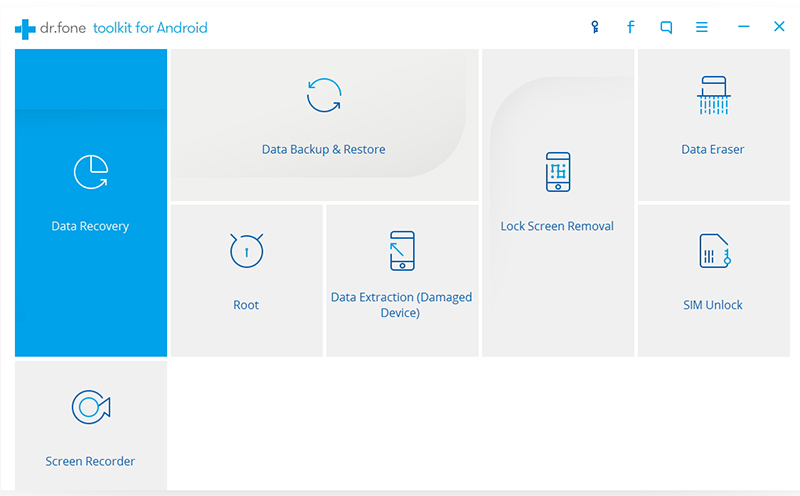 Now, dr.fone toolkit for Android is scanning your Android phone to recover deleted data. This process will take a few minutes. Just be patient. Precious things are always worth waiting for. When the scan is complete, you can preview the found data one by one. Check the items you want and click "Recover" to save them all on your computer. Have deleted data on your SD card accidentally? Keep your shirts on. 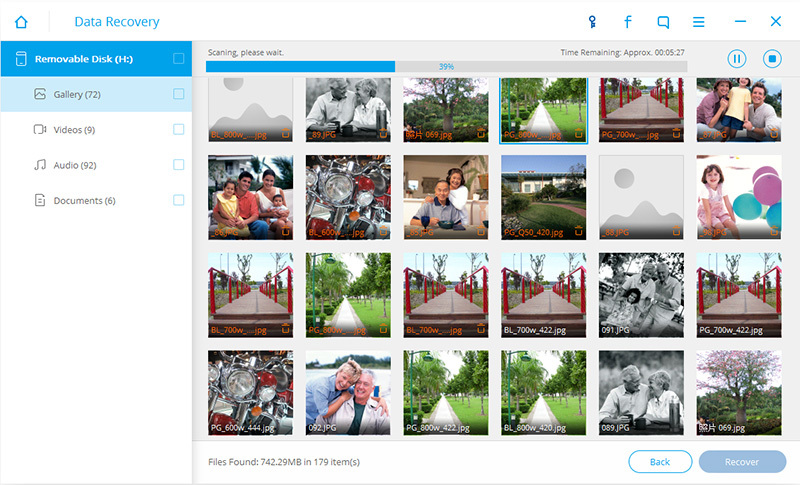 Instead of letting it go, you can now learn how to recover deleted data on your SD card. Now, let's see how to recover deleted data from SD card. Firstly, launch dr.fone toolkit for Android on your computer, select Data Recovery toolkit. Click on Android SD Card Data Recovery at the bottom of the program. Then connect your SD card to the computer. There are two ways for you to get your SD card connected: using a card reader or using your Android device with it. Choose the way better for you. When your SD card is detected by the program, you will see the window as follows. 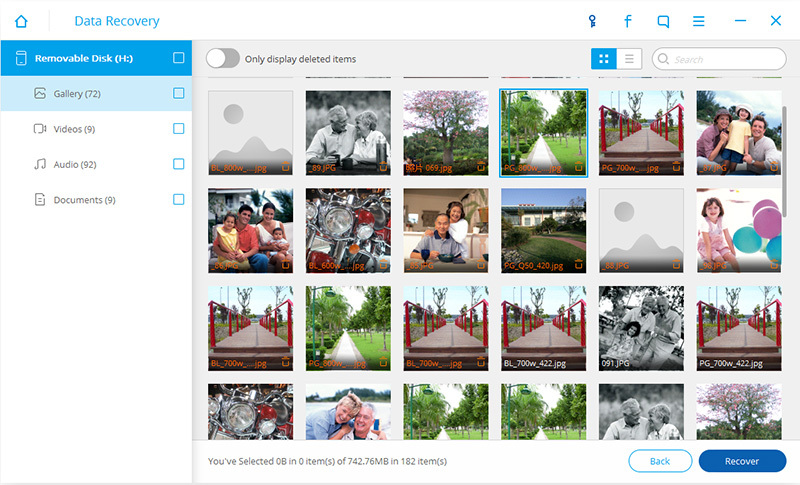 Select your SD card and click "Next" to continue. There are two scan modes for Android SD card recovery. Our suggestion is to try the Standard Mode first. If you can't find what you want, you can try the Advance Mode later. 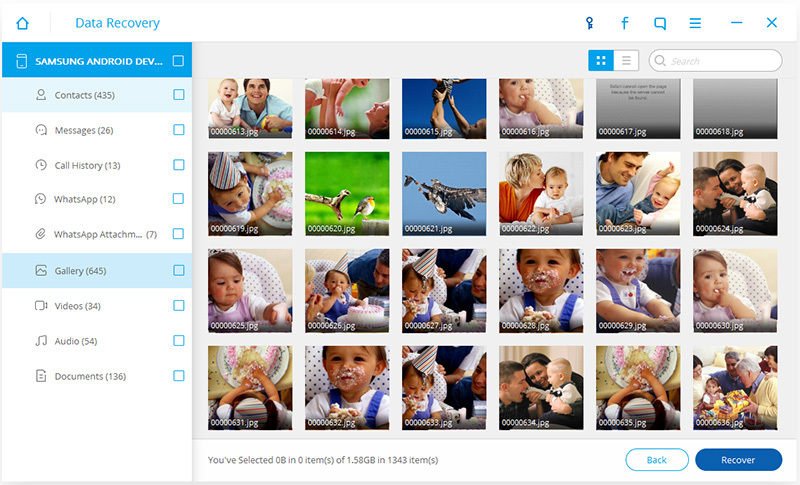 Using Standard Mode, you can choose to scan for only deleted files or scan for all files on your SD card. The latter is suggested, which will help you find more complete files. Select the recovery mode you would like to try and click on Next to begin scanning your SD card. 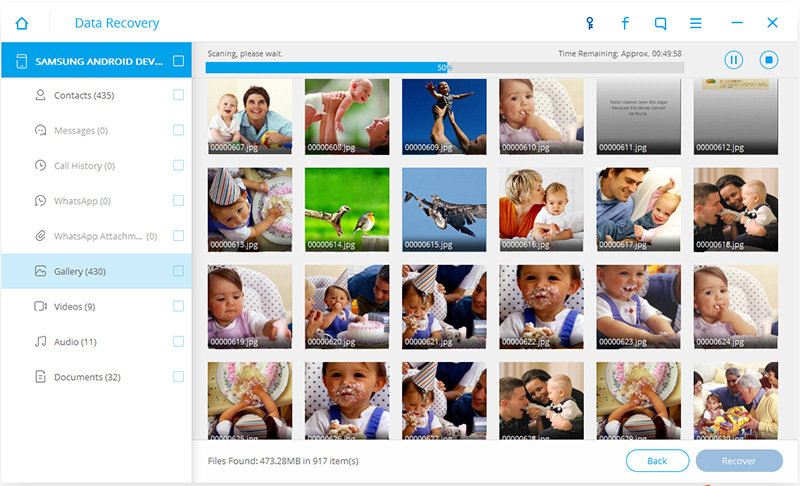 After the scanning process, all found files will be displayed in categories. From the left sidebar, you can click different data types to display the corresponding results. 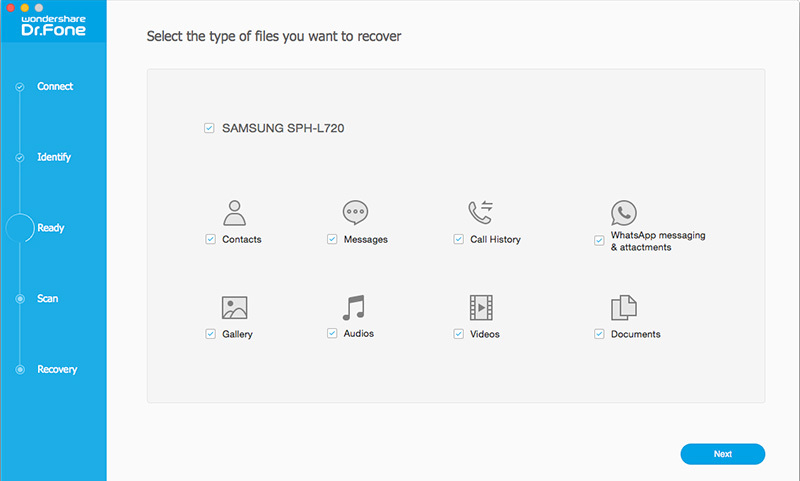 You can selectively check or un-check the files and then click "Recover" to start the data recovery process. After the downloading, install and launch the software on your Mac. Then you'll see the primary window as the screenshot shown on the side. 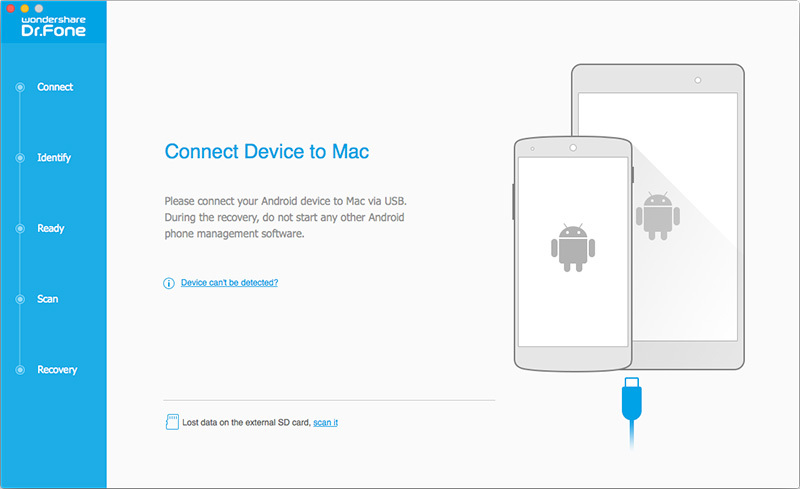 Use a USB cable to connect your Android phone or tablet to your Mac. When your device is successfully detected by the computer, this program will also detect it automatically. Now the program is ready to scan your device. You can selectively choose the type of files that you want to retrieve. Then move on. When everything is OK. The program starts scanning your device for data on it, including the lost file and the existing data. You can selectively choose whatever you want later for recovery.After the scan is compelted, you can preview all recoverable data one by one. Then choose the item you want and click "Recover" to save them on your computer. How to Recover Photos Deleted from Android Phones?